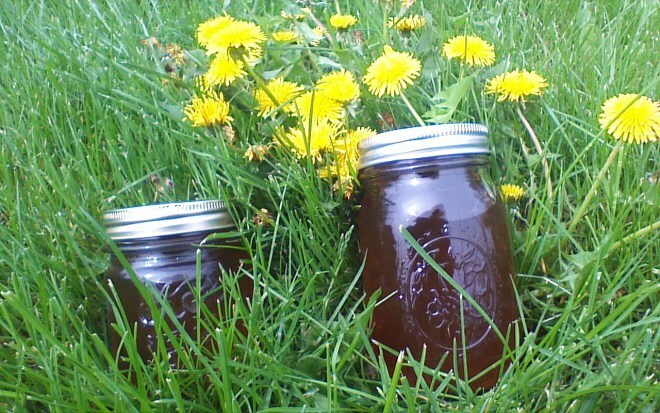 This entry was posted in Canning and Preserving and tagged canning, Cooking, flowers, Food, Gardening, Homesteading, Preserving, Recipes, summer, weeds. Bookmark the permalink. ← In The Garden, Week 1! I’ve never even heard of this, sounds really exciting, like the idea of bringing back a ‘vintage post’ too! I’ll occasionally repost something if there’s a specific reason for it (such as dandelion season, happening right now). This is a fun one! This is so interesting! I guess one would have to have a yard though to get enough flowers for the recipe. Our gardener uses chemicals… gasp! Yes, you’d need to find enough untreated green space (a park, perhaps?) to pick dandelions for this recipe.